Just a brief note to let you all know we're still here. Been without power since 8:22 Monday- no word yet when we'll get it back. Probably will not have internet/phone until much later. Stay tuned, and I'll get back to posting when I can! Glad to know you're OK! So glad to hear you are okay! I'm glad to know you're ok.
Hydro-Quebec sent 260 technicians to help with the electricity. I hope you get power soon. Stay safe and warm! 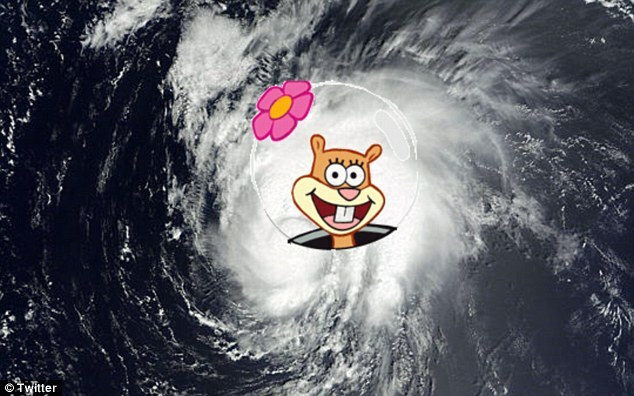 CURSE YE HURRICANE SANDY! So glad you are safe after the storm. In the Midwest, we have been worrying about and praying for our eastern neighbors...I love your thrift shop finds. We just found an A1 jacket - a very good repro by a company that is not making them anymore. My husband decided to keep it - he loves it too much to give it away. You are an excellent thrifter!!! Love all of your finds! Turkey Day at the PIT!